After a big round of excercise, badminton game at TCH court, this is the place we went for our lunch to settle our hunger of food. I had been hunting this place for long already but i never thought that it was so near the place that i used to play badminton! 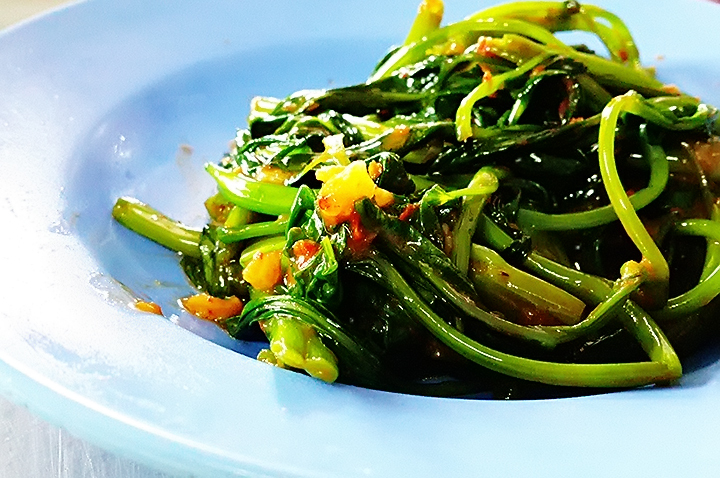 We called this Kangkong and it is also known as water glorybind. - Cooked with sambal, a mixture of spices, shrimps, chili and some other stuffs and it is spicy. 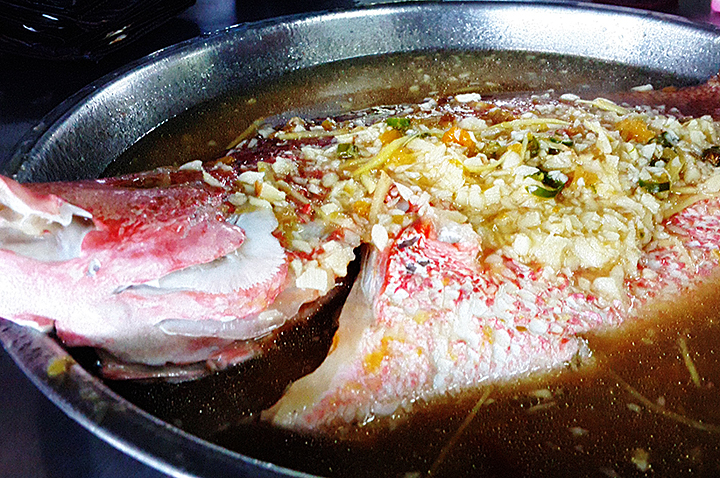 This is the fish which is called "ang sai" in Hokkien, red snapper in english. They steamed the fish with garlic, ginger and some ingredients. Besides, it is very fresh. Imagine u are having it hot from the kitchen during the rainy days! Here come the favorites! 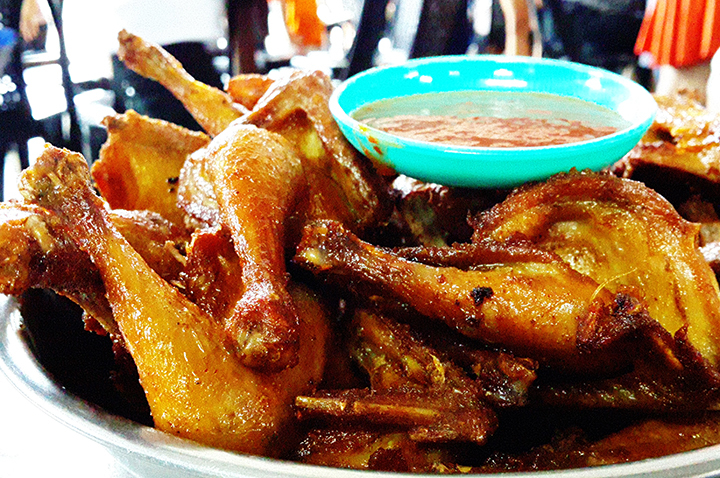 Deep Fried Spring Chicken (Rm 6 per bird). Spring Chicken is the young chicken, They cooked it after perfectly seasoned and marinated. The meat is different from the adult chicken, they were so juicy and simply delicious! Most people could have 2 birds, and some could have more! This is a MUST TRY dish! Last but not least is the "Kapa" in Hokkien. Some one called them clamp/shell. Cooked with ginger strips and taste abit salty sour. These clamp are really fresh. they were cooked to perfection. For this trip of lunch, we 3 persons ordered 6 spring chickens (RM36), 1 dish of kangkong, 1 dish of steam fish (RM35), 1 dish of kapa, 1 dish of fried bee hoon. We also tapao 3 spring chickens back home. We ordered 1 bottle (1.5Litre) of "Herbal tea". The total amount of bill is RM 124. For your information, there were also kind of wine made by coconut sold here which we call it the coconut tuak. 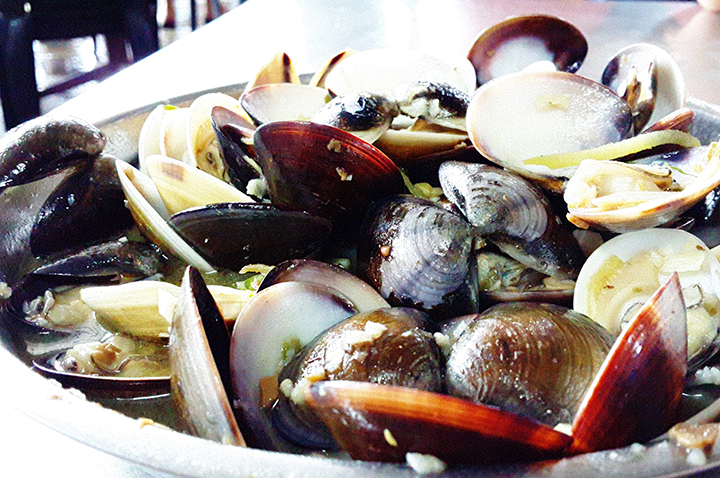 Address: 2004, Bagan Lalang, 13400, Butterworth, Penang.